Ashton Kutcher and Mila Kunis expecting baby #2! 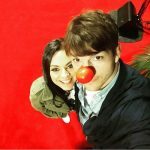 Posted on June 15, 2016 by Jenny S. by Jenny S.
Celebrity couple Ashton Kutcher and Mila Kunis are expecting a second baby! The couple’s representative confirmed the news to US Weekly. Rumor alert! Jen Aniston sports a teeny, tiny tummy bump in a bikini – is she pregnant? 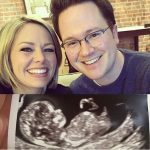 Posted on June 11, 2016 by Jenny S. by Jenny S.
Meteorologist Dylan Dreyer is forecasting showers – baby showers, that is! 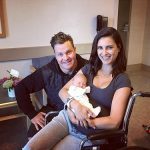 The Today show correspondent and her husband, cameraman Brian Fichera, are expecting their first child – a baby boy! Once Upon a Time real-life couple Ginnifer Goodwin and Josh Dallas have welcomed their second child – a son named Hugo Wilson Dallas. E! News reported that the baby was born in Los Angeles on June 1st.